Onto another special birthday celebration - Nyree's 50th! She was blessed to spend her actual birthday in February with her beloved Lindsay just a few days before the Lord called him home to enjoy glorious and eternal life, so this has been a deferred gathering. (I didn't blog the funeral but it was a beautiful service and wonderful celebration of Lindsay's life, and as he would have wished, a clear gospel message). 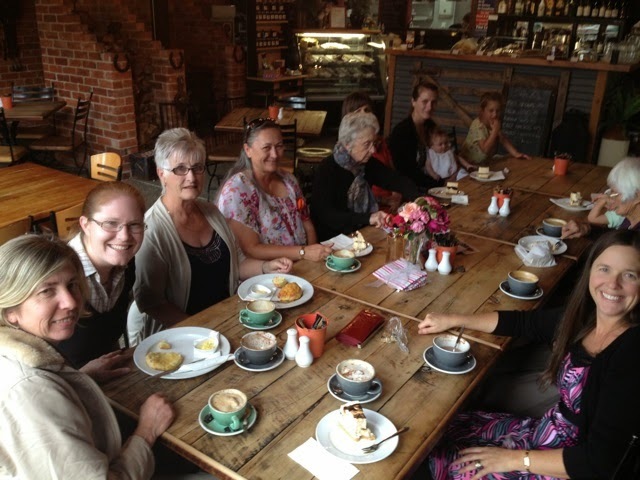 We took Nyree and her mum out to The Stables and had a good afternoon of fellowship and laughter together.